This is just a little twist on the kale chips. We like a little kick to it, so we add some red pepper flakes. They can be omitted if the heat is not desired. On a foil or parchment lined baking sheet, toss kale with olive oil and sea salt (massage in well)! Sprinkle with red pepper flakes, if desired. Bake kale about 20-30 minutes until crispy, but not burnt. 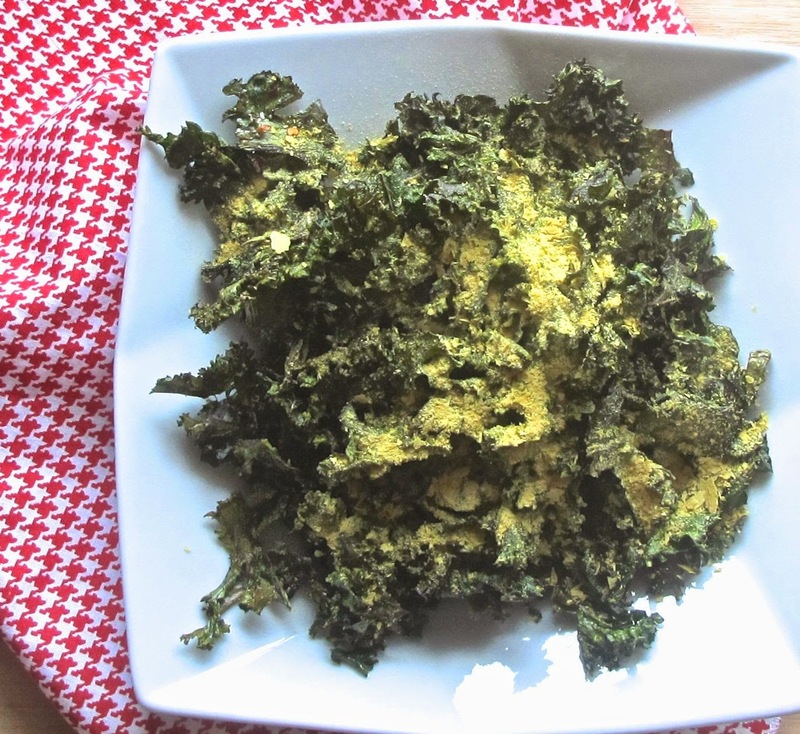 Remove from oven and sprinkle nutritional yeast over top.